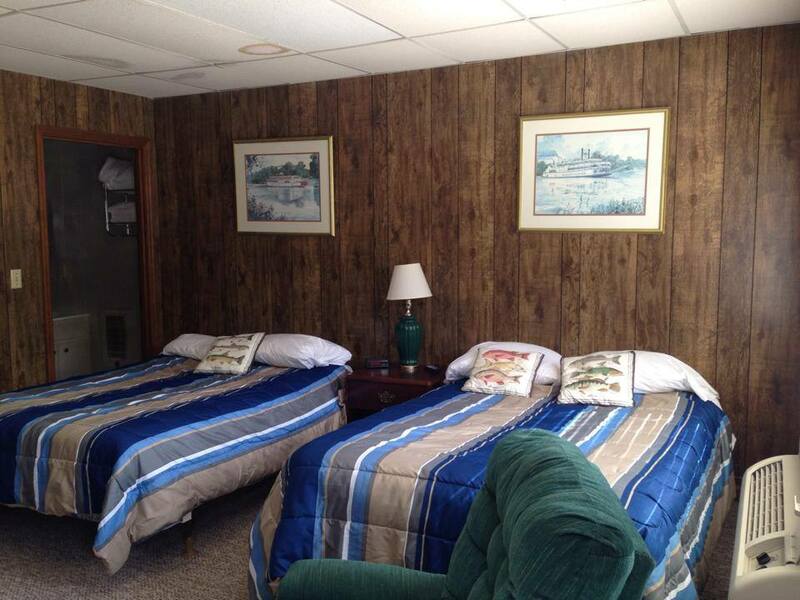 Our motel rooms are spacious, air-conditioned, and located just steps from our restaurant. Each room contains two full-sized beds, one bathroom with a shower/tub, and a walk-in closet. 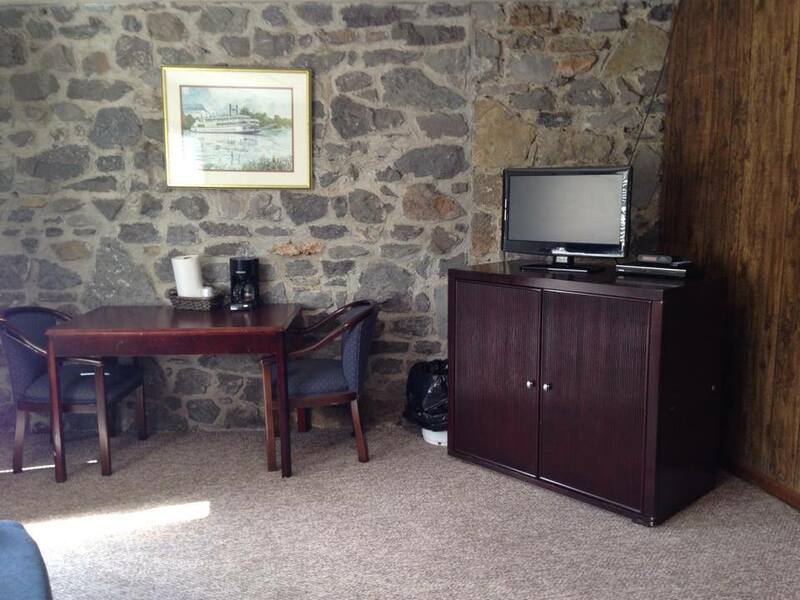 Additionally a flat-screen television with basic cable, mini-refrigerator, microwave, and coffee pot are provided. 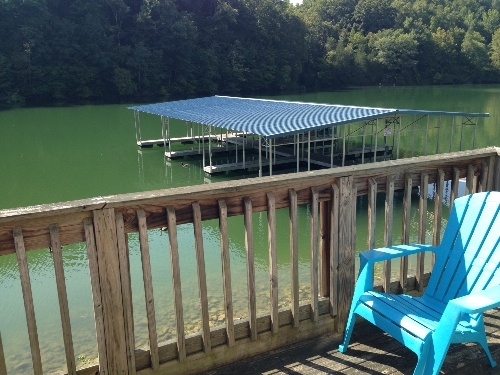 Pets are permitted in cabins and rooms, but a $25 fee will be assessed. Dogs are welcome throughout the marina--but they must be on a leash. 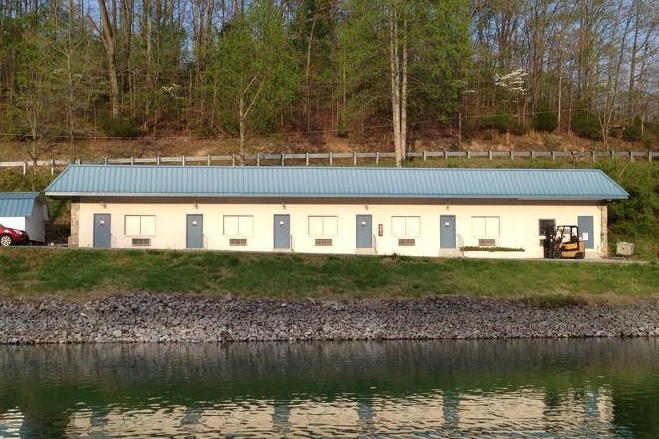 Cabin, room, and boat reservations cannot be completed through email correspondence at this time, but must be made over the phone or in person. All reservations require a full name, contact number, driver's license (or just ID), and a valid credit card (to keep on file in the event of damages or other additional charges). No deposit is required, but our cancellation policy dictates that when reservations are broken without 24 hours notice we reserve the right to charge the card on file for the all or part of the room rate.